Check out the stats for the Washougal round of the Lucas Oils AMA Nationals. All the former winners and the latest information on what is what in the American series. Washougal has hosted Lucas Oil Pro Motocross Championship events since 1980 and is currently in its third decade of hosting the Nationals in the Pacific Northwest. Washougal is known for being one of the most beautiful, yet challenging tracks in the world and features several iconic obstacles, including Horsepower Hill. This year’s event will have a “Celebrate Our Heroes” theme to the festivities, honoring all of our country’s service men and women. In the spirit of the afternoon, fans, riders and teams are all expected to be adorned in their patriotic best, whether it’s camouflage or the iconic combination of red, white and blue. In 33 years of Lucas Oil Pro Motocross Championship competition at Washougal, only two international riders have captured an overall win – Chad Reed in the 450 Class in 2009 and Ben Townley in the 250 Class in 2007. Poulsbo, Washington’s Ryan Villopoto was the first rider from the Pacific Northwest to win at Washougal in the premier 450 Class. A pair of natives did claim victory in the 13 years of 500cc competition – Eric Eaton, of Tacoma, Washington in 1985 and Chuck Sun, of Sherwood, Oregon, at the inaugural event in 1980. Ryan Dungey currently sits in second place behind Ricky Carmichael on the Pro Motocross All-Time Race Wins list with 29 victories in the 450 Class. James Stewart sits in fifth on the All-Time list with 20 victories in the 450 Class. Through eight rounds, 450 Class points leader Ken Roczen maintains an incredible 1.75 finishing average. The 250 Class points leader, Jeremy Martin, holds a finishing average of 2.8. The first 450 Class race held at Washougal was August 14, 1983. Rick Johnson won on a Yamaha. This will be the 24th time the gate will drop at Washougal for the 450 Class. Ricky Carmichael, James Stewart, Jeff Emig, Ryan Dungey, Jeff Ward and Mike Kiedrowskihave won at Washougal in two or more classes. Mike LaRocco won the last 500cc race in Washougal in 1993 on a Honda. Rick Johnson, Ricky Carmichael, and Ryan Dungey are the only three riders to win Washougal back-to-back in 1983-84 (Johnson), 2004-05 (Carmichael), and 2010-11 and 2011-12 (Dungey). 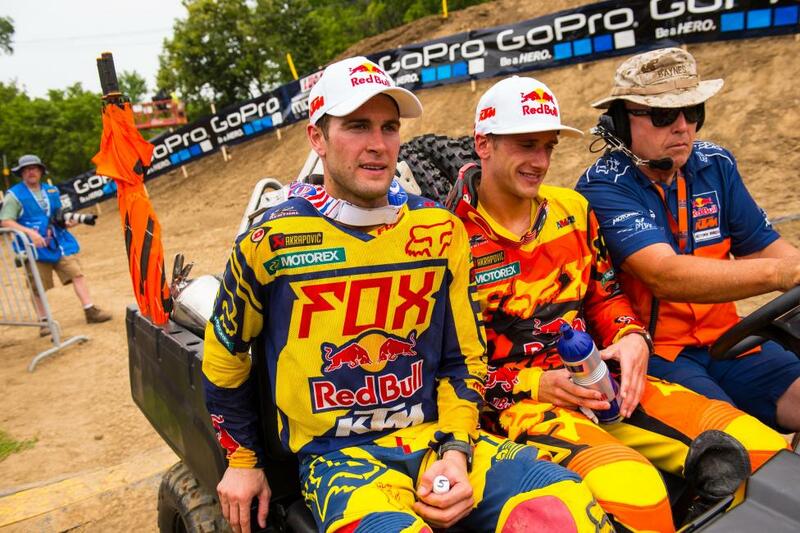 In 2012, Ryan Dungey became the first rider in history to win at Washougal for three consecutive years, also winning five of his last six attempts at the facility. Yamaha has not won at Washougal in the new millennium (last win in 1999). As the 2013 250 Class winner, Eli Tomac looks to be the next rider to win Washougal in both the 250 and 450 Class. 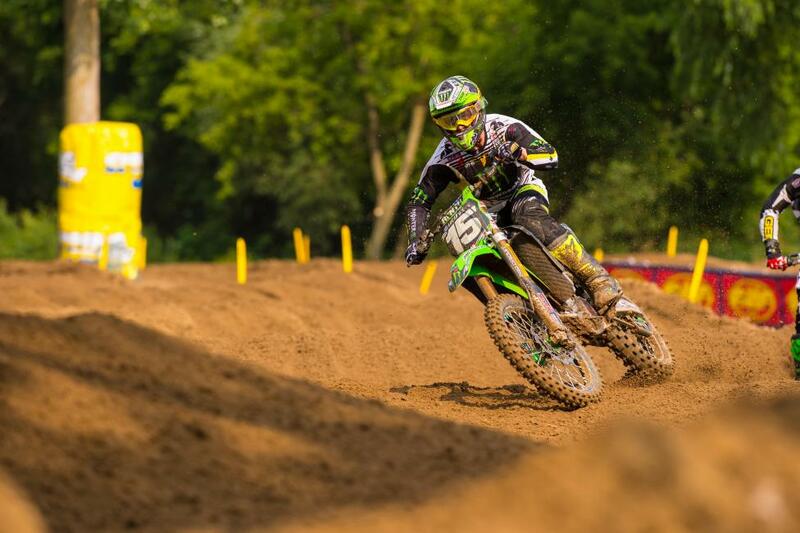 Tomac currently holds a ninth-place standing in the championship, despite missing eight motos this season. The first 250 Class race was held at Washougal on July 6, 1980. Mark Barnett won on a Suzuki. This will be the 34th time the gate will drop at Washougal for a 250 Class race. In 33 years, only five riders have earned their first career victory at Washougal. Ryan Dungey was the most recent in 2008. Dungey was also the last rider to go back-to-back at Washougal (2008-2009) since James Stewart did it as part of a three-year streak from 2002-2004. Washougal has hosted nine different 250 Class winners over the last ten seasons. Blake Baggett will attempt to become the next repeat winner in the 250 Class at Washougal. Baggett is the only previous Washougal winner to line up in the 250 Class this season. Yamaha has not won at Washougal in the new millennium (last win in 1993 by Jeff Emig).